Philippine-based casino developer Bloomberry Resorts Corp said in a Wednesday filing that its gaming operations unit Bloomberry Resorts and Hotels Inc had been issued with a summons in a civil legal action in the United States regarding the February 2016 theft online – reportedly involving US$81 million – of cash from Bangladesh’s central bank. But the Bloomberry parent said its unit was itself a “victim” in the case, and it blamed the loss on the “complicity and negligence” of people unconnected with the group. Bloomberry Resorts controls the Solaire Resort and Casino (pictured) in Manila, in the Philippine capital. It was reported at the time of the heist – allegedly conducted via an account at the Federal Reserve Bank of New York in the United States that was held by the Bank of Bangladesh – that the money was diverted to four accounts at a Rizal Commercial Banking Corp branch in Makati, Metro Manila. At least part of the funds was later reportedly moved to several Philippine casinos, where they mostly disappeared. A Bangladesh Bank lawsuit in relation to the incident has been lodged with the U.S. District Court for the Southern District of New York and names Rizal Commercial Banking Corp among others. The filing said the purpose of the civil lawsuit was to “collect the amount allegedly lost by Bangladesh Bank from North Korean hackers who broke into Bangladesh Bank’s systems and sent multiple remittances orders to their account with the Federal Reserve Bank of New York…” whereby the monies were eventually “remitted to alleged fictitious accounts with Rizal Commercial Banking Corp, and from where they were transacted, converted and lost, a part of which went through Philippine casinos where they were used to purchase gaming chips and were played in the casino and junket rooms”. 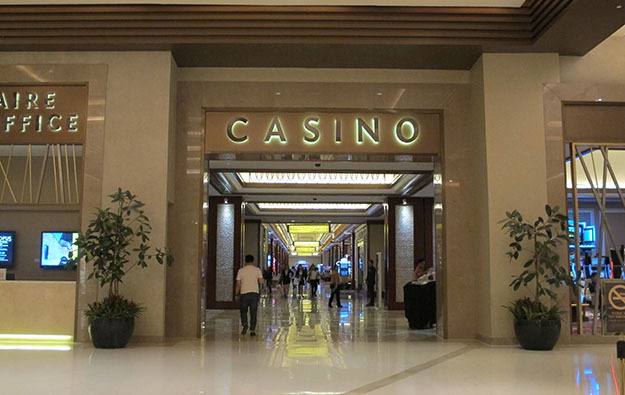 The parent added its representatives had explained to a 2016 Philippine Senate committee hearing on the matter “that it had no knowledge that the funds that were remitted to it and used to purchase gaming chips and played in the gaming floor and in junket rooms in Solaire were stolen”. Wednesday’s filing further noted that copies of its testimony had been submitted to the local casino regulator, the Philippine Amusement and Gaming Corp (Pagcor); to the country’s Anti-Money Laundering Council (AMLC); and to Bangladesh’s ambassador to the Philippines. Bloomberry Resorts said the summons had been delivered to its gaming operations arm via “a package delivered by courier” on February 22. Also named in the Bangladesh Bank’s U.S. lawsuit was Maia Santos Deguito, a former Rizal Commercial Banking Corp branch manager. In January she was convicted in a Philippine court of eight counts of money laundering, drawing a prison sentence. Several people with ethnic Chinese names – some of whom were mentioned in media reports at the time of the heist – were also named in the lawsuit, according to Bloomberry Resorts’ filing. They were: Kam Sin Wong, Weikang Xu, Ding Zhize and Gao Shuhua. Mr Wong had been identified during the Philippine Senate hearing sessions in March 2016 as president and general manager of Eastern Hawaii Leisure Co Ltd, a casino operator in the northern Philippines. That company has also been named in Bangladesh Bank’s lawsuit, according to Bloomberry Resorts. In September 2017, it was reported that Philippine prosecutors had decided not to press charges against Mr Wong in relation to the alleged theft. He had blamed Mr Gao and Mr Ding – described as Chinese nationals – for causing suspected proceeds from the theft to be imported to the Philippines. In September Reuters news agency reported that the U.S. government had charged and sanctioned a North Korean man – Park Jin Hyok – for hacking into Bangladesh Bank’s systems. The U.S. federal authorities also alleged Mr Park was involved in the 2017 global WannaCry ransomware cyber attack and the 2014 online attack on electronics conglomerate Sony Corp.